Our adventure starts with a house-sitting gig in western Hungary. Vaszoly (pronounced “vash-oy”) is a small village nestled in the hills on the north side of Lake Balaton. Our hosts, a nice English couple, left us in charge of their three dogs, three cats and chickens for about two weeks. We arrived in late March, right on the heels of a series of unseasonably cold and brutal storms that left much of Europe blanketed in snow. 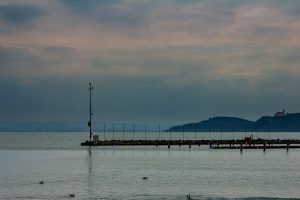 Lake Balaton is the largest lake in Central Europe and a popular tourist destination. Nearby Balatonfüred (known as just Füred by the locals) is a resort town on the lake shore and our best option for shopping or a meal out. Had we been there in the summer, the streets, beaches and boardwalk would be crowded with people on holiday from all over Central Europe. In the off-season, parking is plentiful, shopping can be done at a leisurely pace and there is never a wait for an open table (assuming our chosen restaurant hadn’t closed early for a lack of customers). There are numerous trail systems in the region, especially on the more mountainous north side of the lake. 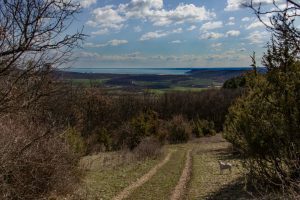 Our daily walks with the dogs took us into the hills, forests and vineyards surrounding the village often with views of the lake. The trails we frequented were a little muddy due to the recent snow and rain, but became more passable (and busy) as the weather started to warm towards the end of our stay. The warmer weather also brought out the bugs and we had to be diligent to check the dogs and ourselves for ticks upon returning home. Between Vaszoly and Füred is the historic Tihany Peninsula. 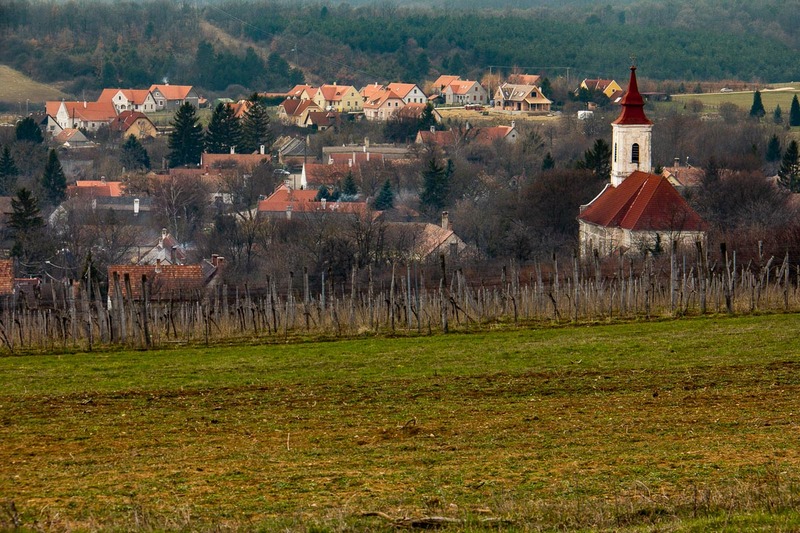 The town of Tihany occupies a perch on the hilly end of the peninsula and is best known for its abbey located at its highest point. On a clear day (which was not the case when we visited), the abbey provides a dramatic panoramic view of the lake. In the summer months, busloads of tourists visit for the views, the food and the many products made from lavender grown on the lower, flatter part of the peninsula. 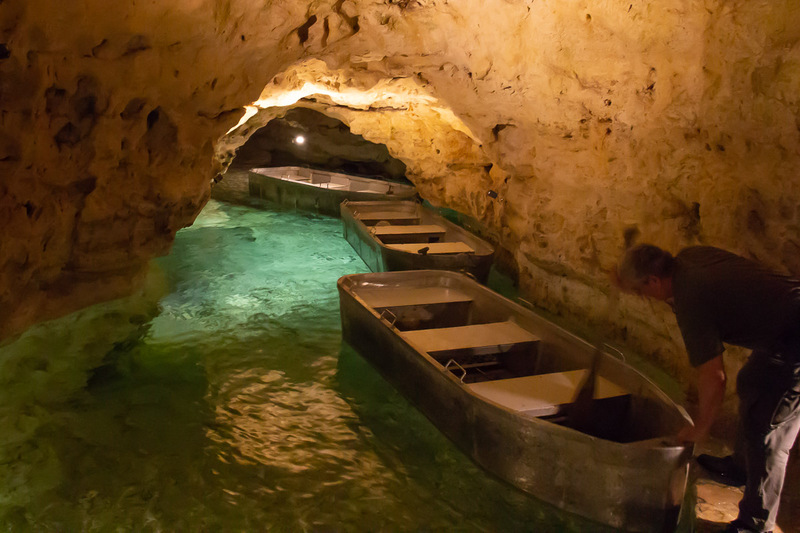 Arguably the most touristic thing we during our time in Lake Balaton was a visit to the lake cave in Tapolca. To access the cave we were required to endure an hour-long guided tour through the associated museum giving a geological history of the region and explanations of how the caves were formed. The tour is typically spoken only in Hungarian, although the text on the displays are in both Hungarian and English. Our guide was accommodating in that after speaking to the rest of the group, he would take us aside as we moved from room to room to give us a brief overview in English. This is a rare occurrence from what I could gather in online reviews. After the educational portion of the tour, the group filed down several flights of stairs to the cave lake about 15 meters (50 feet) underground. Fara and I climbed into a small aluminum boat and were handed a paddle. It actually felt a bit like a Disney ride since the “lake” is really a just series of passages naturally carved out of the limestone and one has no choice other than to follow the boat in front of you through the circuitous route back to the dock. Some of the passages were barely wide enough for the boats themselves and we had to often duck to avoid hitting our heads on the low ceilings. 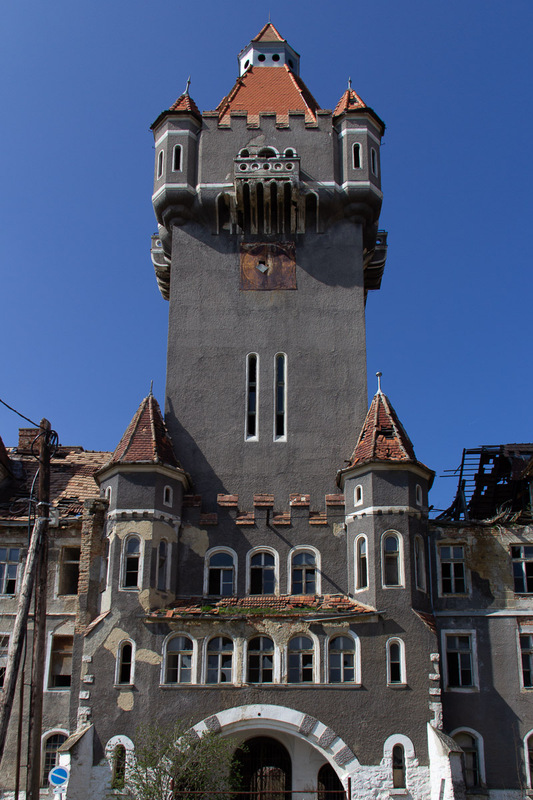 Through the help of Atlas Obscura we found two abandoned sites worth checking out. 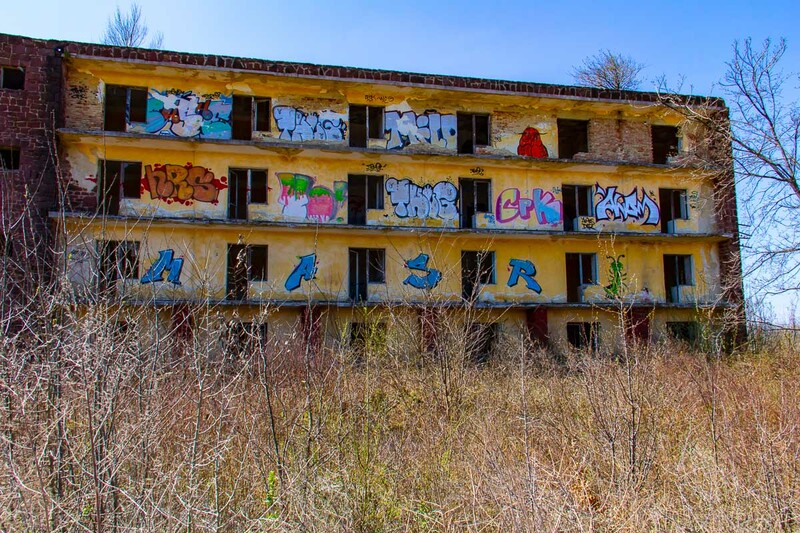 Near the town of Szentkirályszabadja is a Soviet military ghost town built in the 1960s. After the fall of communism in the early 1990s it was abandoned and the surrounding nature is slowly reclaiming the land. 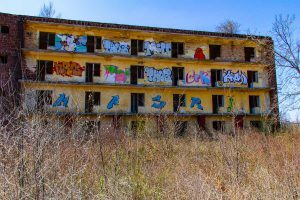 We found barracks, a school and theater covered with graffiti and on the verge of collapse. 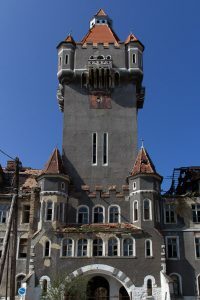 Exploration of the buildings is possible as long as you are mindful of the dangers associated with over 25 years of neglect. Not far from the ghost town is the Hajmaskér Barracks. This was one of the largest military installations established by the Austro-Hungarian Empire in the late 1800s. In addition to being barracks for the military, it was used as a POW camp during WWI and later occupied by the Nazi army in WWII. 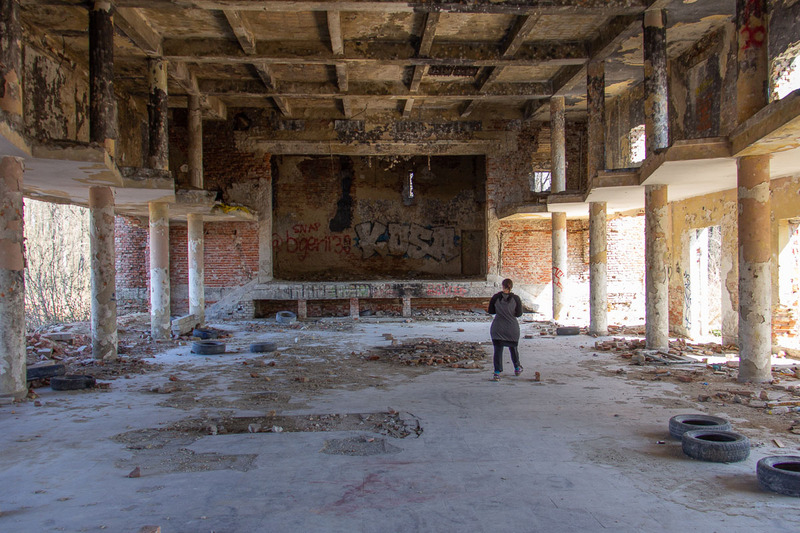 During the Cold War, the Soviets left the site abandoned causing it to fall into disrepair. We arrived late in the day and found the building surrounded by high chain-link fences, so we resigned to taking a few pictures from the outside rather than search for a way inside. Hungarian food is similar to other Central/Eastern European cuisines in that it can be very meat heavy. Several of the dishes like goulash and chicken paprikash are heavily spiced with paprika and will sometimes be prepared over an open fire in a cauldron called a bogrács. One Hungarian snack we were told to not miss was lángos. It consists of a deep fried dough covered with shredded cheese, sour cream and garlic. It wasn’t bad, but eating it more than once will likely take a year or two off your life. 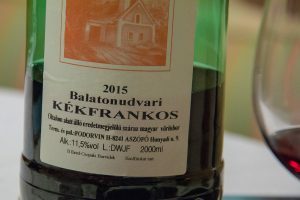 Lake Balaton is an important wine producing region in Hungary. 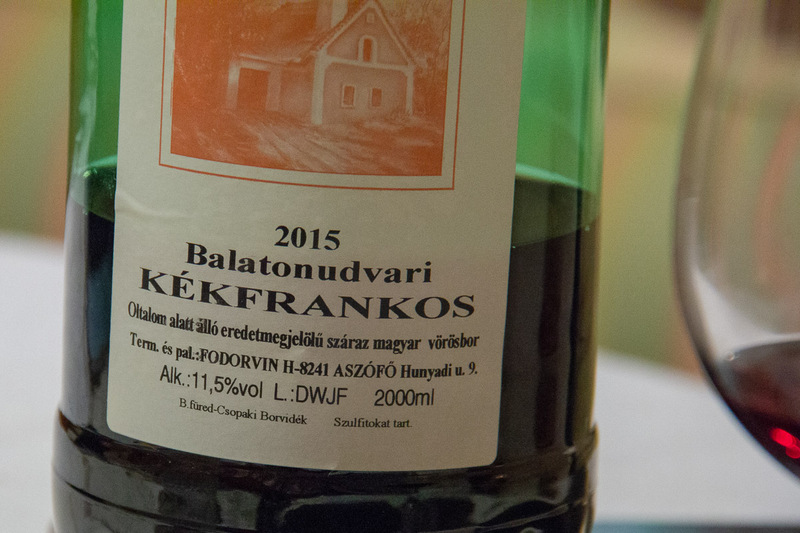 Our hosts turned us on to their favorite winery and we tried just about everything they had to offer. When you buy directly from the winery you can get the typical 750 ml glass bottles we all know and love. However, in the spirit of being economical it is more common to purchase your favorite blend in either a 2 liter plastic bottle ($6-7) or 5 liter plastic jug ($14-15). The family who ran the winery must have thought we were bathing in it given how often we returned to purchase more. 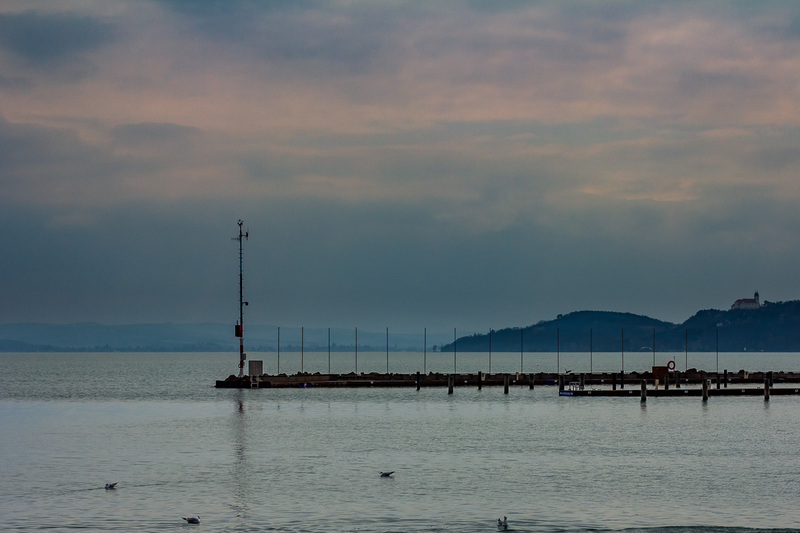 For the average traveler, Lake Balaton is unlikely to be a destination in and of itself. 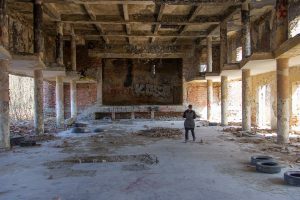 Due to its central location it should be on people’s radar as a possible side trip or stopover when visiting other tourist destinations in Central and Eastern Europe. Our experience might be a bit skewed since we were there in the off-season, but the area has enough to offer for a few days of relaxation and vacationing like a local. This post is part of a series chronicling our travels through Hungary, Romania, Bulgaria, Serbia, Bosnia and Herzegovina, and Croatia in the spring and summer of 2018. We acknowledge that not all the countries listed are technically classified as “Balkan”, but that is a small price to pay for such a catchy title. Since we really did “Bounce Around”, posts are grouped geographically rather than written in chronological order. You can find the other posts in “Bouncing Around the Balkans” here.